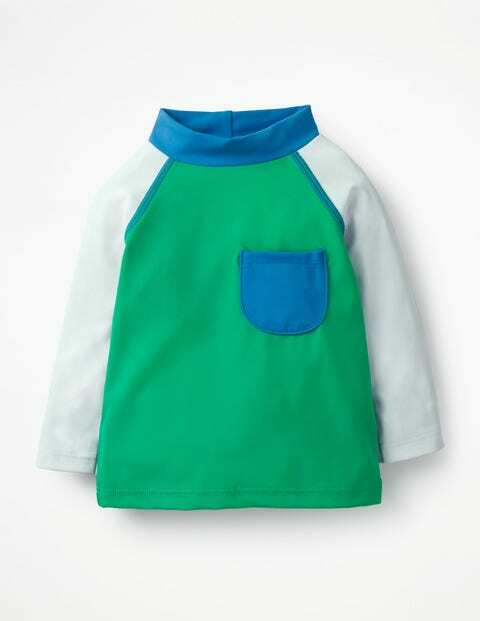 Let baby be bold and bright at the seaside in this colourblocked rash vest. This sporty piece features different shades on the body and raglan sleeves, with matching tones on the pocket and neck. The fabric has UPF 40+ sun protection, so it's the perfect partner for bathers when it comes to splashing around in the summer.